The IT Minister of Telangana, KTR has interacted with his followers and TRS voters for more than an hour via his Twitter. During the interaction, he revealed crucial things about his party’s upcoming events along with hitting on his father’s rival CBN. In his question hour, this Urban Minister of India’s newest state declared that the manifesto of TRS will be out anytime in this month. Stating the manifesto as the best one till date in Telangana, this dynamic leader claimed that the agenda will be a collection of all the welfare schemes to all the sectors of voters. 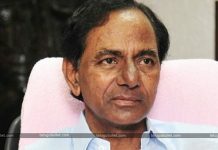 He hoped that the TRS agenda would bring in much-needed attention to TRS prior to the snap polls. In this regard, KTR fumed fire on AP CM Chandrababu Naidu. Calling him as a betrayer of Telangana, this KCR’s son stated that CBN is responsible for stopping development in Telangana since ages. Now the same Babu is working against Telangana’s development by joining forces against TRS. 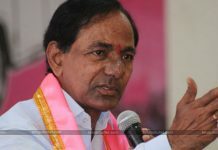 KTR, however, assured his followers by claiming that no one would harm TRS as long as people’s support is with the Pink party. Like his father KCR, the son KTR is perfectly using the Andhra Pradesh and its CM CBN to gain sympathy on their own party. Seems they are going mad at the Mahakutami as it might dent the vote bank of TRS in many areas.